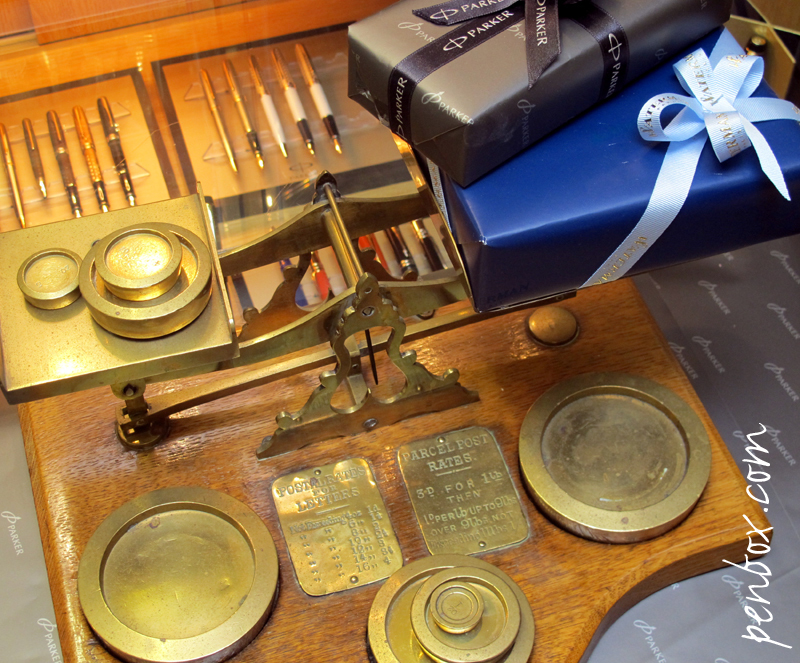 No need to use these ‘warranted accurate’ Samuel Turner Senior brass postal scales on display in the pen shop to weight parcels, because postage is free on all orders over £20 to a UK address at Penbox.com and Penbox.co.uk. So the postal rates displayed on these postal scales from circa 1880 no longer apply. 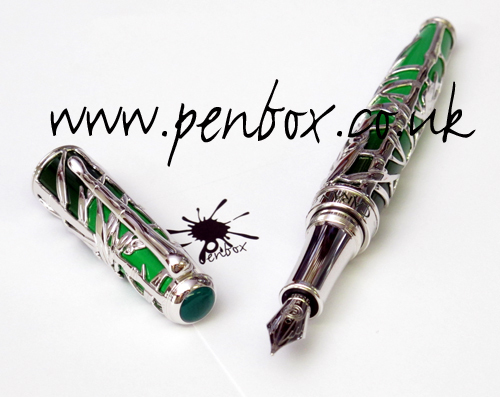 The Limited Edition Caran d’Ache Bamboo fountain pen imaged above in the Penbox pen shop is one of 88 fountain pens and 88 rollerball pens produced in silver and green lacquer by Caran d’Ache in the Cultural series of pens. An edition of 10 fountain pens and 10 rollerball pens overlaid in 18crt gold have also been produced. The figural pocket clip on the cap is carved in the form of bamboo and the cap is crowned with a green Chrysoprase. The nib is 18crt gold which has been rhodium plated. 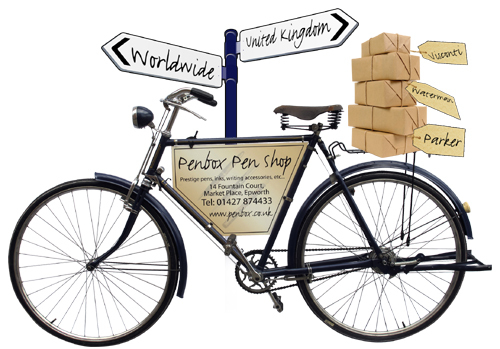 Penbox can supply this and other limited edition pens from Caran d’Ache.